At Tom’s what makes our products good is how we make them with no artificial fragrance or preservatives and no animal ingredients or testing, ever. This effective line of long-lasting, aluminum-free, deodorant sticks uses odor-fighting hops to provide 24-hour odor protection to help keep you feeling fresh throughout the day, while the natural fragrance helps you smell and feel your best! Tom’s of Maine Naturally Dry antiperspirant stick is the first made entirely from ingredients derived from plants and minerals. 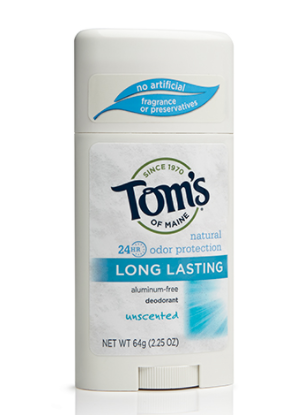 • Tom’s of Maine Naturally Dry antiperspirant is for those who demand wetness & odor protection, without artificial fragrance or preservatives. • The 24 hour odor protection formula contains anti-microbial olive leaf extract to help keep you fresh all day long. 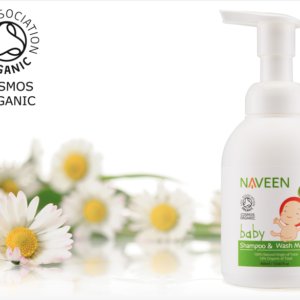 Animal testing, animal ingredients, artificial colors, flavors, fragrance and preservatives. 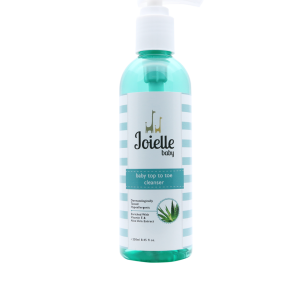 Propylene Glycol (Vegetable Derived), Water, Sodium Stearate, Aloe Barbadensis Leaf Juice (Organic), Glyceryl Laurate, Humulus Lupulus (hops) [CO2] extract, Helianthus Annus (Sunflower) Seed Oil, Cymbopogon Flexuosus Oil (Organic).